Providence, RI-Dr. Sullivan invited to share his “pearls of wisdom” and special facelift technique at NESPS meeting. - Patrick Sullivan, M.D. 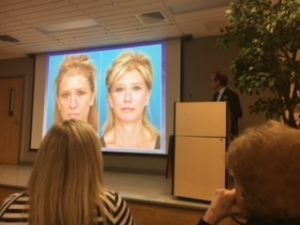 Providence, RI-Dr. Sullivan invited to share his “pearls of wisdom” and special facelift technique at NESPS meeting. Home»Blog / Providence, RI-Dr. Sullivan invited to share his “pearls of wisdom” and special facelift technique at NESPS meeting. Dr. Sullivan is honored to have been invited to present on a panel titled: Facelift: Evolution of my Technique and Pearls of Wisdom. Three plastic surgeons in the North East (stretching from Maine to New York to Washington DC) have been chosen for this panel that is scheduled on the NESPS meeting’s opening day, Friday, September 8, 2017 at 1:30pm. Having such a forum be held at home, here in Rhode Island, is a wonderful opportunity for surgeons to experience our amazing state. Dr. Sullivan is looking forward to sharing his findings and special treatments in facial rejuvenation so close to home.